Joplin got a boost in an international real estate magazine known as Site Selection for its success with the Certified Work Ready Communities program. Site Selection is read by 43 thousand corporate decision-makers that typically decided where investments are made for new businesses and new jobs. The article profiled Joplin’s recovery effort and Missouri’s participation in Work Ready Communities. The reporter interviewed Susan Adams of Able Manufacturing, one of the most popular employers to utilize the National Career Readiness Certificate at the Joplin Job Center. The article runs on pages 139-140. 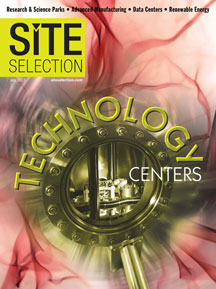 The digital edition of the magazine is available as a web-based application online.